New advances in heart failure & tissue reconstruction therapies – Venture Kick’s latest winners of CHF 130,000 are two Romandie startups bringing innovative medical therapies to the table – one tackles the outside from the inside, the other goes to the heart of the problem. Both projects show again the high potential of Switzerland in the Biotech sector. According to recent WHO reports, heart failure is one of the biggest killers in the world, with one in five people developing heart failure with deadly consequences. 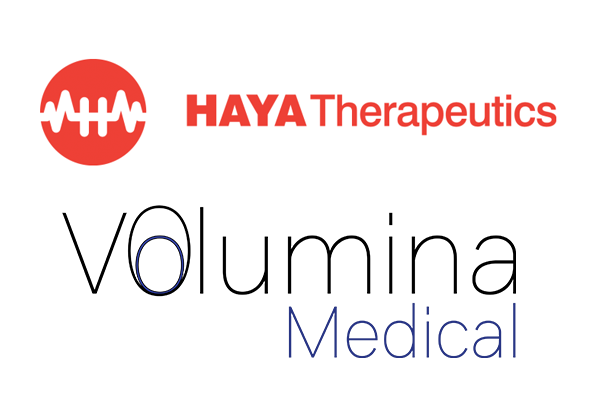 To solve this growing issue, HAYA Therapeutics has chosen to attack the problem head-on, addressing the heart failure process directly. The startup, spun out of the Experimental Cardiology unit at the CHUV, discovered a new way to target a heart-specific long noncoding RNA (ribonucleic acid), known as Wisper, that is a heart specific regulator of cardiac fibrosis. RNA – an essential molecule assembled as a chain of nucleotides, much like DNA – transfers genetic code and can directly interfere in organ malfunctions. Using its extensive knowhow and first-in-class approach, HAYA Therapeutics developed a pharmaceutical solution capable of blocking myocardial fibrosis and treating heart failure, potentially saving millions of lives. Volumina Medical, an EPFL spin-off, develops a cutting-edge regenerative technology for soft tissues. Following a tumor ablation, a trauma or for aesthetic purposes, many patients need to regain their physical integrity and appearance. Existing solutions do not enable to create new durable volumes and often require extensive surgery or repeated treatments. The areas most concerned are the face and the breasts. To reduce risks and offer a minimally invasive solution, Volumina Medical has developed an injectable scaffold capable of regenerating volumes of soft tissues. The scaffold, injected through thin cannulas, supports vascularized growth and helps rebuild the natural shape of the affected soft tissues, enabling a natural look and feel without surgery. “The Venture Kick process and funds received have been fundamental in developing our business case for translating this breakthrough science from the laboratory bench to the hospital bed potentially providing hope for millions of heart failure patients worldwide.” said HAYA Therapeutics CEO and co-founder Samir Ounzain.